The technology known as optical heterodyne sampling (ASOPS), a result of work carried out by Bordeaux University and the CNRS (National Centre for Scientific Research), is inherent to Neta’s products. This patented state-of-the-art technique has enabled material to be characterized at nanometric scale without contact and causing no destruction. 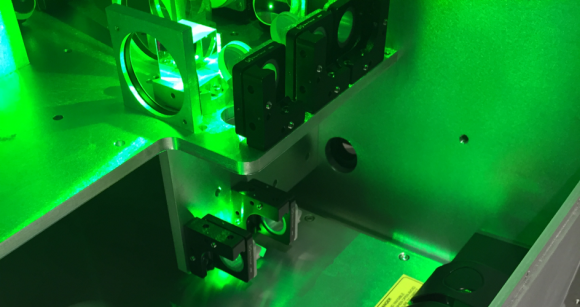 By implementing two synchronized ultrafast lasers and an acquisition chain designed in our R&D department, Neta products offer unique user-friendly performances never seen until now. The system sends ultrashort laser pulses on the sample. The acquisition chain and the signal processing supply the targeted point with qualitative data. By scanning the sample we obtain a multi-physics image of the sample. 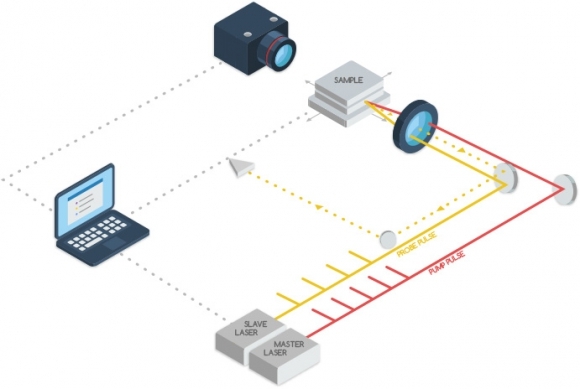 With our technology, laser pulses of approximately a hundred femto seconds (a millionth of a billion of a second) and of differing wavelengths can be managed and generated. It is precisely thanks to these ultrafast pulses that our technique is non-destructive and contactless. These are focused on the surface of the sample studied. The absorption of the first "pump" pulse by the sample is the cause of a very fast temporary change in its optical properties. The second "probe" pulse allow us to determine, by virtue of their index of reflection or transmission by the sample, the physical state of the latter. The problems of mechanical stability or the management of the numerous electronic elements have been important challenges to be faced in the implementation of this technology. 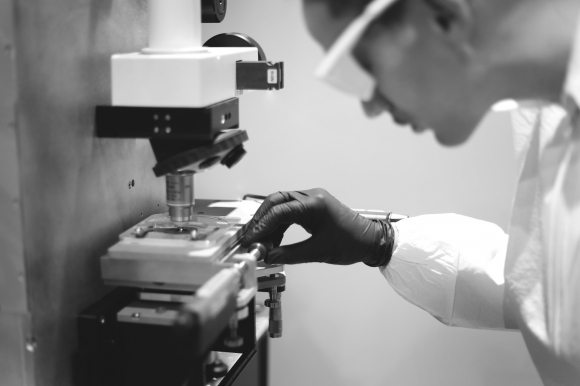 Both the precision mechanics and the electronics developed by our teams have enabled us to present a turnkey instrument to implement state-of-the-art technology. Alignment aid devices have been designed to make it simple to use. This philosophy has always been one of Neta’s fundamental principles. All the parameters of our system can be operated via computer which is able to manage the whole system. The software developed by our team allows initial measurements to be quickly deployed. It also has a first layer to help in interpreting the recorded signals (filters, models, etc.). The aim remains the same : provide to our customer an integrated system very easy to use.